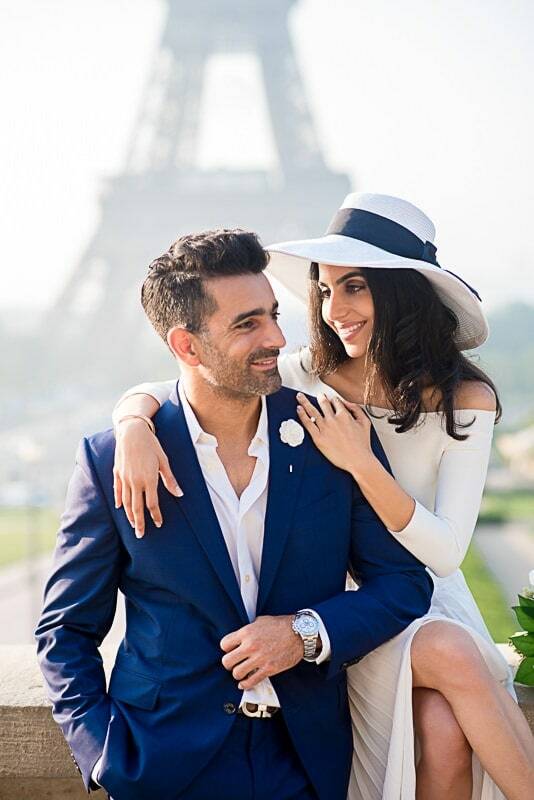 How beautiful is to get engaged in Paris ? 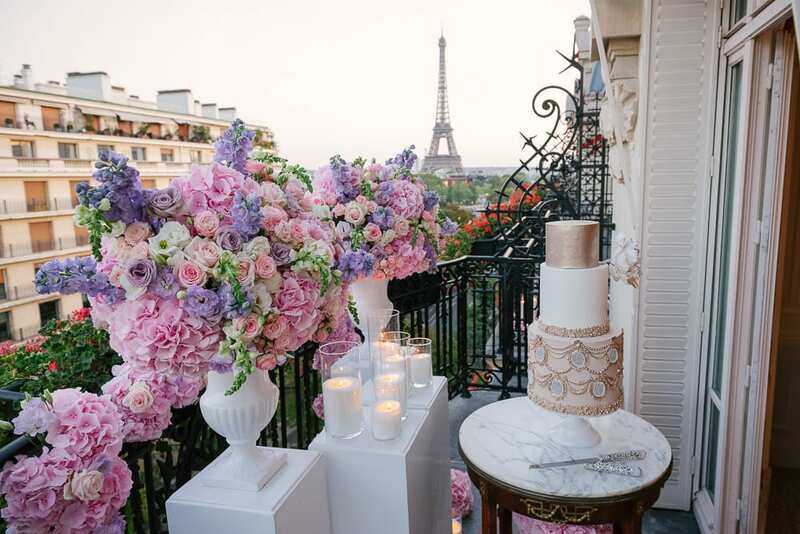 We created this post as an inspiration for your Paris engagement. 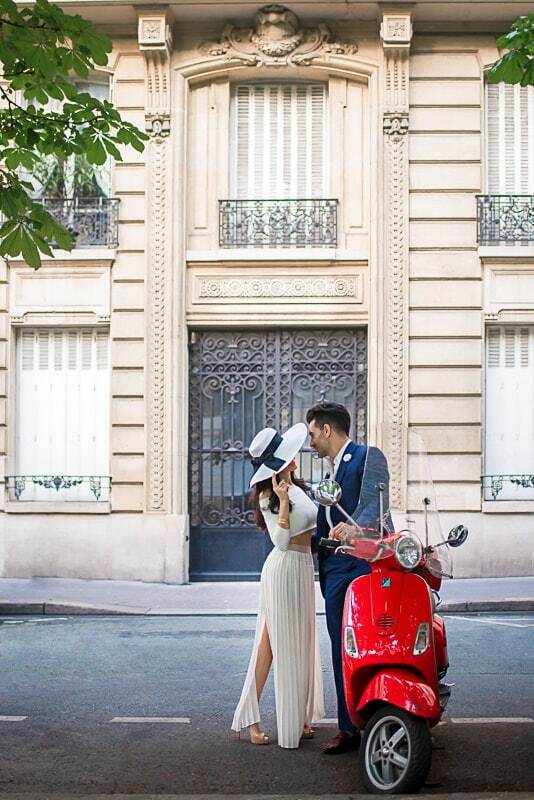 Creating Paris engagement photos that you can only dream about is about connecting as a couple, dressing up nice and trusting your engagement photographer to capture incredible images. … and an incredibly gorgeous diamond ring. They have been best friends in college and after 10 years got engaged. It is super romantic to build a relationship on a foundation of compliments. 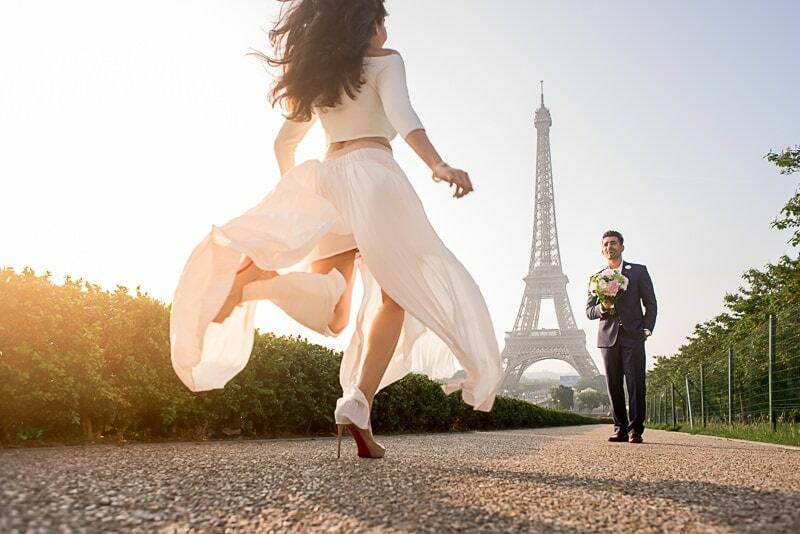 When Amir wrote me to take their engagement pictures in Paris, he attached their surprise proposal video. It was so sweet and romantic, I instantly knew that we will be a perfect fit. 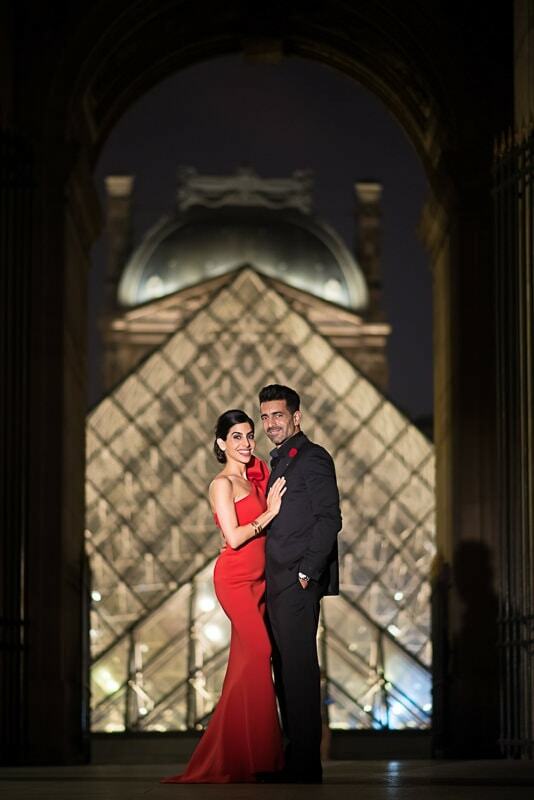 Par and Amir opted for a 2 hours sunrise and 2 hours evening Paris engagement photo shoot. 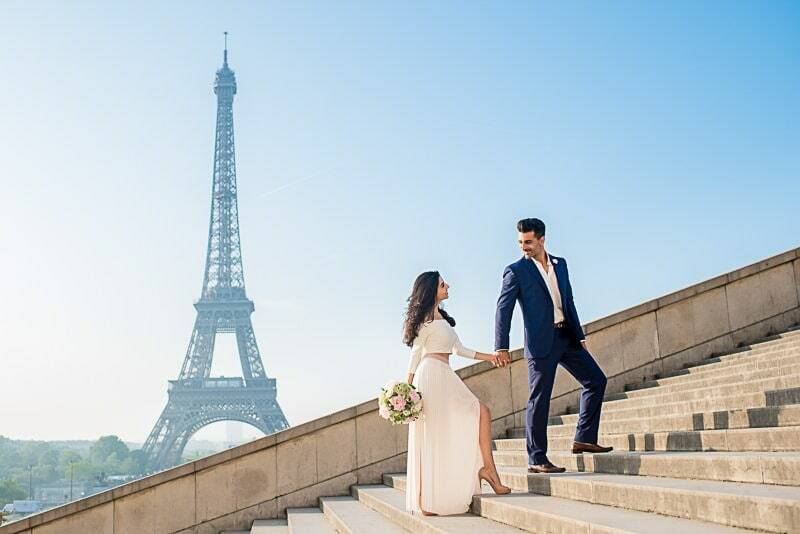 We have started taking the Paris engagement photos in the streets of Paris at sunrise and then explored Trocadéro area, which offers a spectacular view over the Eiffel Tower. 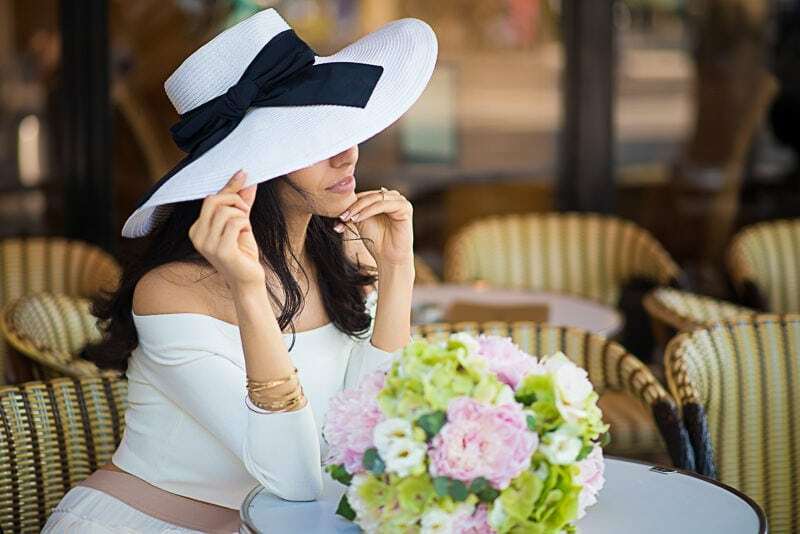 For her photoshoot outfit, Par decided to use a white hat and a beautiful bouquet that they have picked up the evening before their photo shoot as prop. One of my favorite picture from this morning was the one where she is hiding behind the hat and he is kissing her. This happened at a typical Parisian café where we stopped to energize with a delicious cappuccino and croissants. “AND IN HER SMILE I SEE SOMETHING MORE BEAUTIFUL THAN THE STARS. 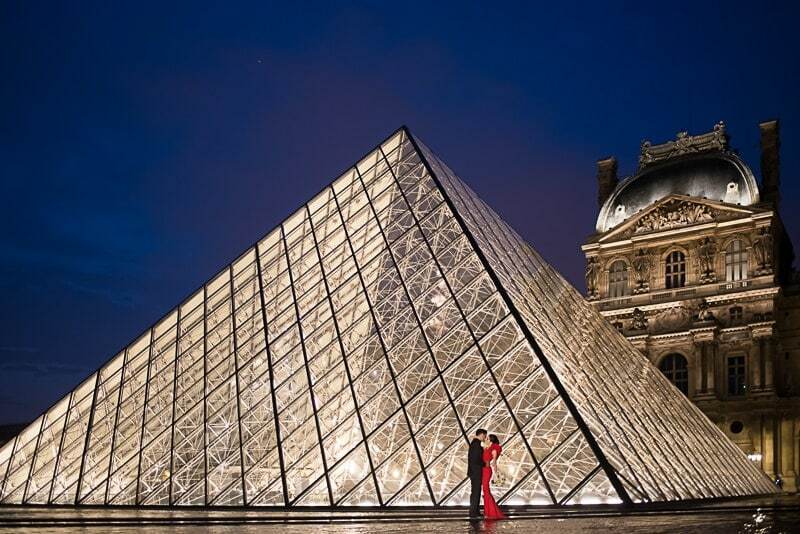 Quick tip for your Paris engagement photos, always remember to take a parent pleaser or a “grandma shot“. Your parents or grandparents can frame this picture for their home. From the café we jumped in a taxi and stopped at the Arc de Triomphe. The sun was already up and shinning and seemed like the perfect opportunity to create a romantic sunstar picture. We absolutely love creative engagement photo ideas. 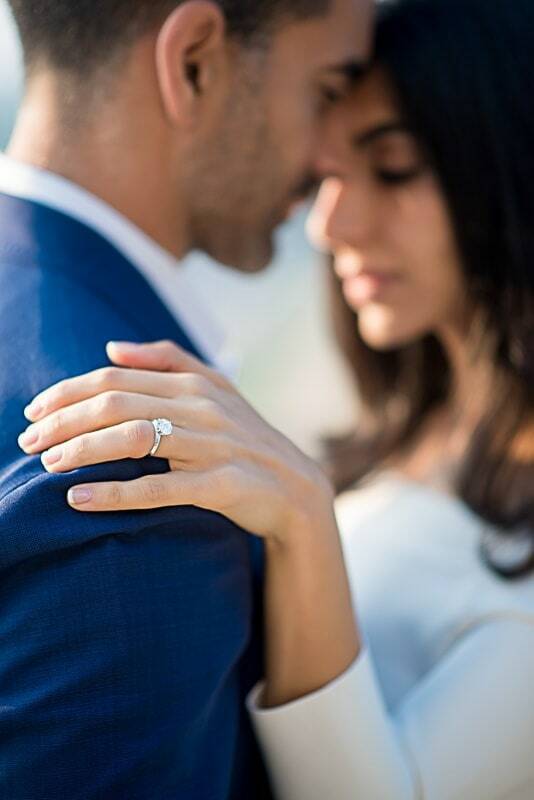 It might sounds like a cliché, but it was such a pleasure working with a couple that connects perfectly and truly enjoys the photo experience. That is why I strive to demonstrate my love for the couple and for my craft: photography in the same time. We resumed the engagement photo shoot on the Alexander 3 bridge, a few minutes before sunset. If you are wondering what to wear for your engagement photos, look at Par’s dress. It truly is inspirational. 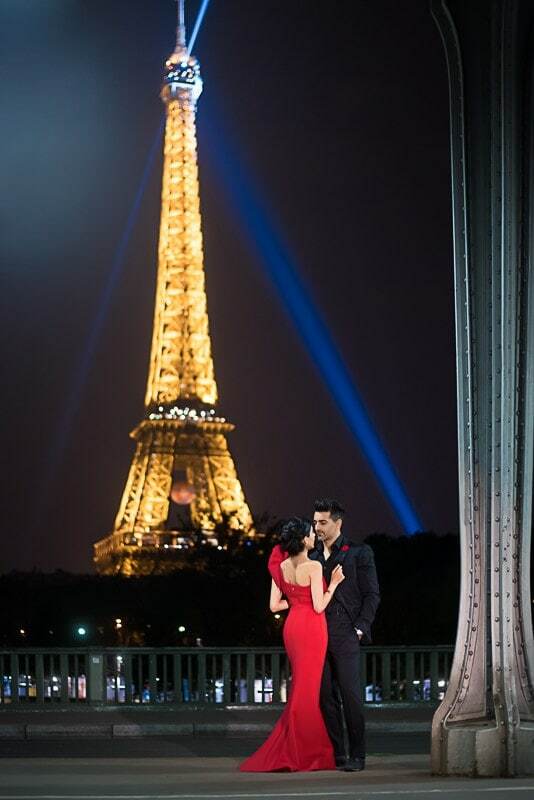 For Par and Amir, the experience of taking engaged in Paris pictures was an adventure of a lifetime. We created memories and captured moments that they will cherish forever. The photos walk you through their LOVE. 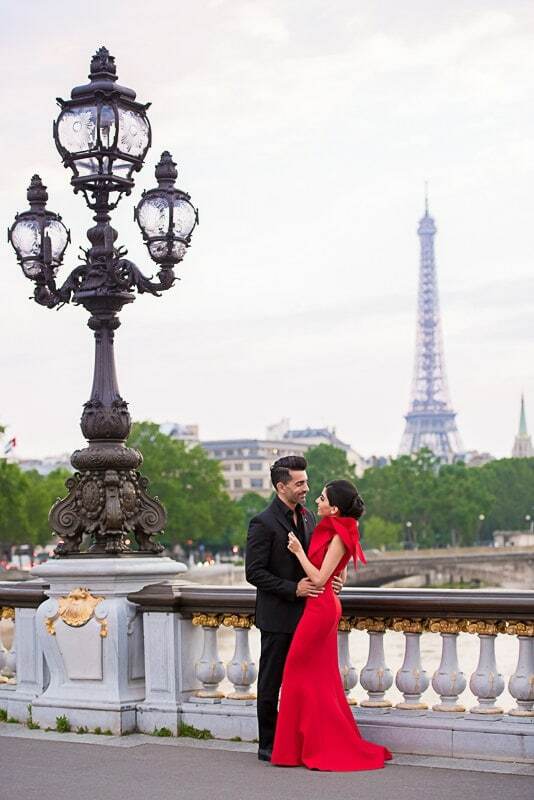 we hope that this Paris engagement is a true inspiration for many other stylish and fashionable couples who decide to get engaged in Paris or simply have their engagement pictures in Paris. … and not only for them, but for any couple in love who wants to have truly beautiful engagement photos. Our friends from Cake and Lace loved the gallery so much that they have featured it on their blog. Here is a fun fact. 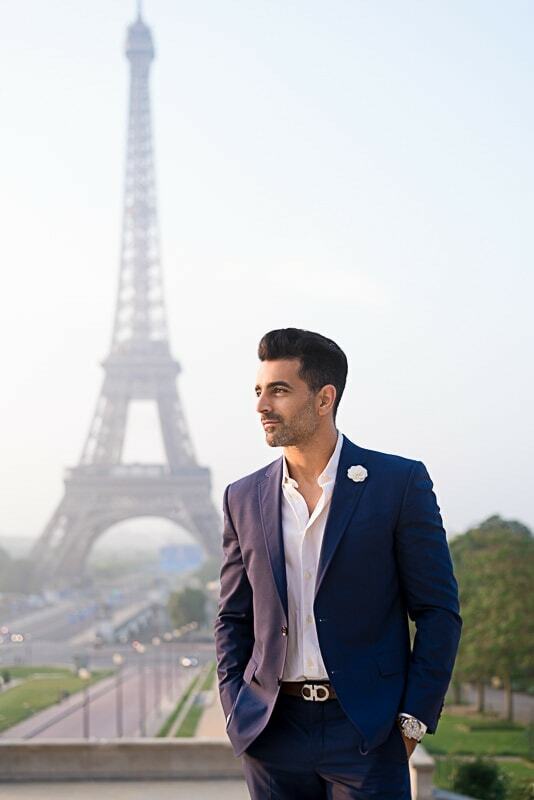 While I am writing this article as a Paris engagement inspiration, Amir’s email just came in informing us that they have decided to hire me to capture their wedding day in Laguna Beach (CA) next year in July. We ended the evening on the Inception bridge, having the Eiffel Tower lit up in the background. This is where Amir took a champagne out and popped it to celebrate their engagement. Hope that you liked the photos and enjoyed Par and Amir’s love story. 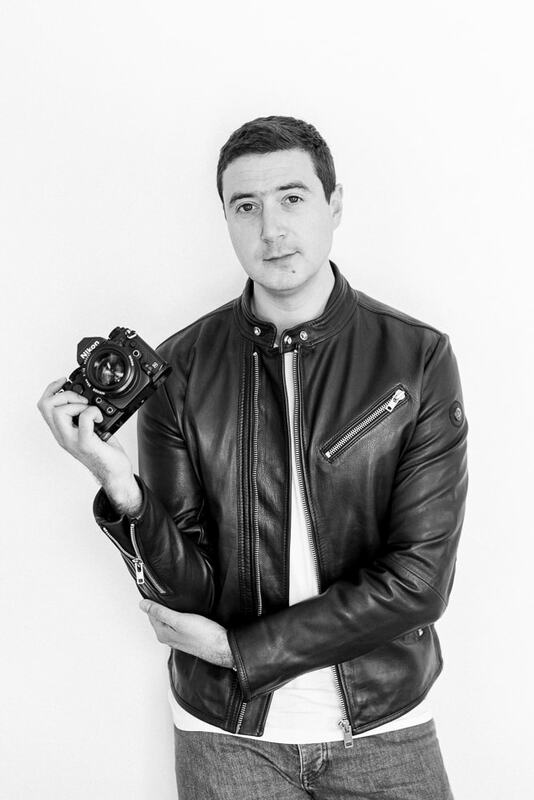 I am looking forward to having you on board and create magical pictures together in Paris. 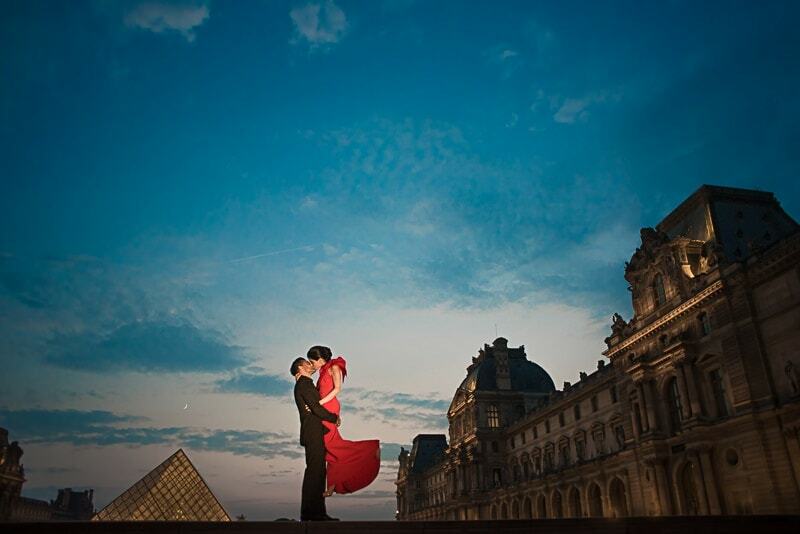 I invite you to explore our engagement portfolio and get inspiration for your Paris pictures. This is so classy & beautiful. Absolutely. Thank you so much! Photography is our passion. A dream indeed – beautiful shots!! Wow. Thank you so much! 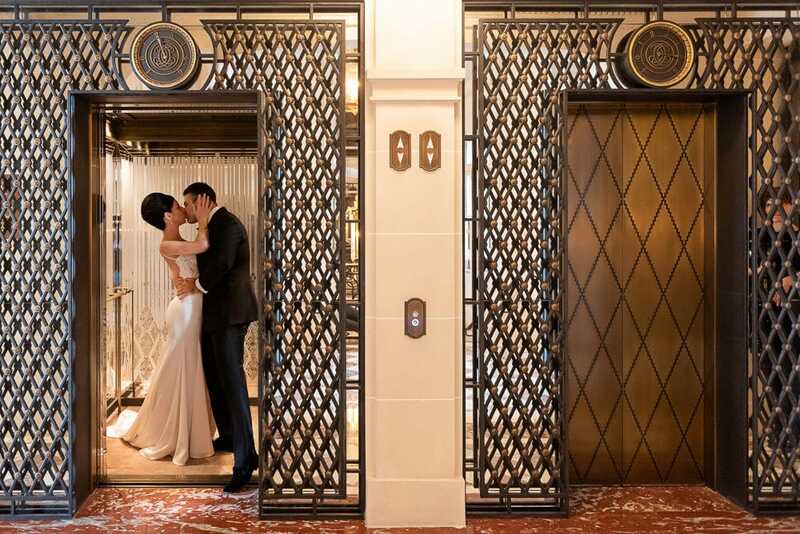 The couple is elegant and so in love with each other. Such an ease to photograph.